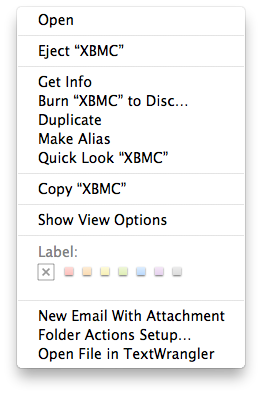 If you have a Mac OSX computer and would like to install XBMC on it, then this is the place to find out how. The first thing to do is open your web browser and goto the following url http://xbmc.org/download/ and click on the link circled in red. Now save the file to you hard drive, make sure you choose the right version depending on whether you’re running OSX or OSXPPC, newer computers are always OSX. Double Click the downloaded file in order to extract the Image. There will now be something that resembles a Disk Drive on your Desktop. 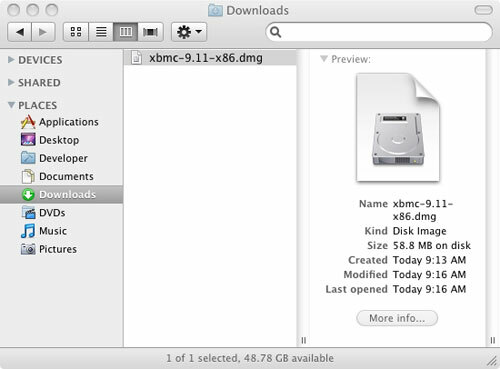 Open the Extracted Disk Image of XBMC. Now you canDrag the XBMC logo in the window onto the Applications folder which is also located in the window. 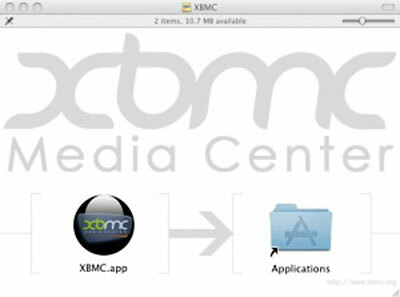 XBMC is now installed on your Mac and can run it by opening the XBMC software located inthe Applications folder.